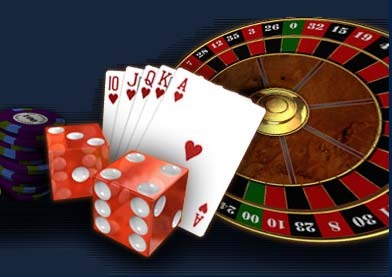 The first step to making casino gambling a regulated business in Grenada was approved late Thursday evening, when Speaker of the House of the Representative Michael Pierre announced to members at 7:09 pm that the Casino and Gaming Bill 2014 was approved, with some amendments. The Bill provides for the owners of hotels with more than 300 rooms to apply for a licence to operate a casino as part of the entertainment offerings for guests on the compound of the property. Presented by Planning and Economic Affairs Minister Oliver Joseph, he explained that the legislation was developed after Grenada reviewed and analysed the impact of casino gaming in other CARICOM territories which already offer such entertainment. Explaining that the intention of providing casino entertainment is mainly to satisfy the demands of visitors after 6 pm, Joseph said that the law is clear that all casino facility must be attached to an operating hotel. “The casino must be on the premises. You cannot have the hotel in one location like St George and the casino in St David,” he said while confirming that there will be strict rules with regard to who can enter and use such a facility. “No person under 18, nor locals will be able to go into a casino to participate in the activities,” he told the House. However, that section of the law was of concern to Member for St George’s North East, Tobias Clement, who is of the opinion that this clauses hinges on the violation of citizens’ constitutional rights. “That section of the Bill appears to be giving more rights to the visitor than a local with regards to gambling rights, as it is restricting their movement and right to assembly. You cannot tell people how to spend their money,” he argued, while calling for the House to carefully review the clauses of the Bill. The Casino Gaming Bill provides for a Grenadian to be fined EC$100,000 for going to a casino to gamble. The same fine applies to any person under the age of 18. Prime Minister Dr Keith Mitchell believes that this fine is too high for those persons under 18 and recommended that the fine be dropped to between EC$5,000 to EC$10,000. He said that young people under 18 don’t have money and this mean they will definitely go to prison. “This is ridiculously too high,” he said. By the end of the debate, Mitchell’s recommendation was adopted and the fine was adjusted to EC$10,000 while the licensee of the casino will have to put the structures in place to ensure that only those who are qualified to enter the casino are allowed. That fine will be EC$100,000. Education Minister Anthony Boatswain said that he risked losing friends by openly supporting and applauding Government’s move to pass the Casino Gaming legislation. He said that leaders sometimes have to swim against the tide of popular opinion. He believes that the Bill as presented, has enough built-in safeguards. He also believes that if a Grenadian is wealthy enough to gamble, then that person should not be barred. The second step for the Bill is the debate in the Upper House or Senate, which will be followed by publication in the Government Gazette with the approval stamp from the Office of the Governor-General. The final step will be the Minister responsible giving a date of effect.